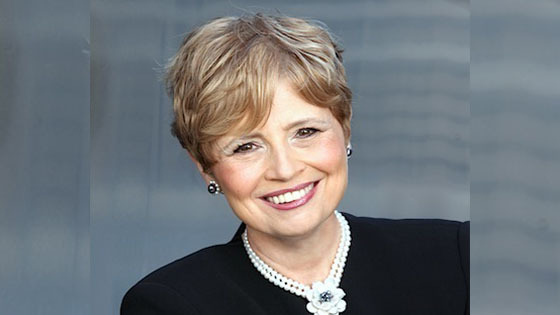 March 15, 2017, 9:16 AM · Deborah Borda will step down from her position as President and CEO of the Los Angeles Philharmonic to become the next President and CEO of the New York Philharmonic starting in fall 2017, both orchestras announced today. Borda succeeds NY Phil President Matthew VanBesien, who led the organization since 2012. Borda has served as president and CEO of the LA Phil since 2000, having previously served in the same capacity at the NY Phil during the 1990s. Bill Thomas, currently the NY Phil's Senior Vice President and Chief Operating Officer, will become Executive Director, effective May 1, 2017. "This is a homecoming for me as a native New Yorker, but, more than that, it is a key transitional moment filled with opportunity to make a difference for one of the great musical organizations of the world — the New York Philharmonic. The major factors that have led me here are my immediate sense of partnership with Jaap van Zweden and our shared belief in forging new ways forward," Borda said in a press release. "The passionate commitment of the Board to the future, the remarkable quality of the Orchestra, and the ability to promote the superb and trusted administrator Bill Thomas to the position of Executive Director were all critical to my decision. New York City and Lincoln Center stand at the crossroads of the artistic world and the opportunities for collaboration and partnerships within our vibrant community are thrilling. While embracing this challenging new work, I sincerely wish to express my deepest thanks and admiration for Gustavo Dudamel and the Los Angeles Philharmonic 'family,' who have been courageous and loving partners over 17 years." The Los Angeles Philharmonic will begin its search for a new President immediately, with Board Chairman Jay Rasulo leading the search committee. "We want to thank Deborah Borda for 17 years of extraordinary service and for leading the Los Angeles Philharmonic to incredible success in so many areas," Rasulo said in a press release. "The prominence and exciting reputation which the LA Phil currently enjoys around the world is due in large part to her visionary and powerful leadership, along with the dedicated work of the two music directors with whom she worked, the orchestra, and the LA Philharmonic Association staff. We all wish her well in her future endeavors."